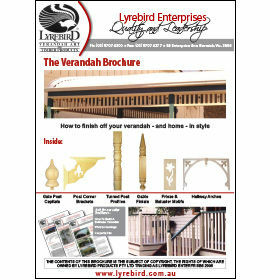 Lyrebird Enterprises manufacture a large range of decorative timber components for truly Australian verandahs. The decorative timber components "finish" your bullnose verandah, giving it the final touch. 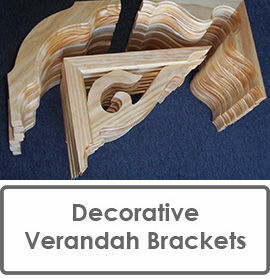 The Verandah Brochure displays our full decorative timber product range, covering profiles of all of the decorative timber components for your verandah. 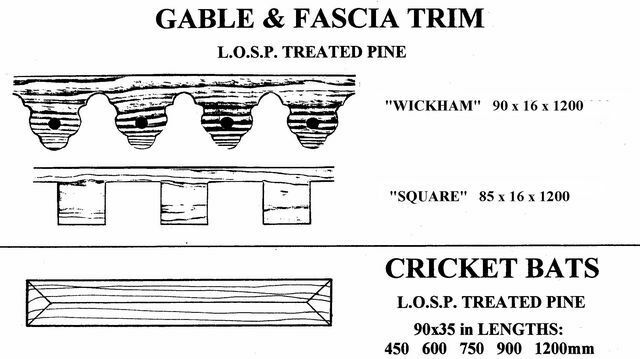 All pine decorative items show on these pages are treated with Light Organic Solvent Preservative (LOSP) to H3 level (protection for components above the ground), to resist rotting and borers. An oil based primer needs to be used before applying acrylic paint. 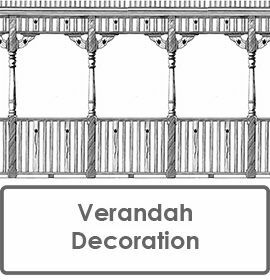 All of our verandah posts are hand-turned by expert craftsmen to ensure attention to detail and a fine finish - ready for painting or staining. 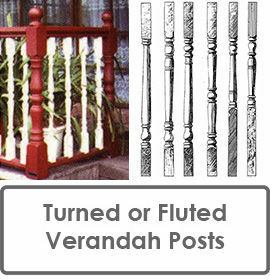 Select from a variety of classical design verandah posts, or send us details of verandah posts you want matched to an existing profile. 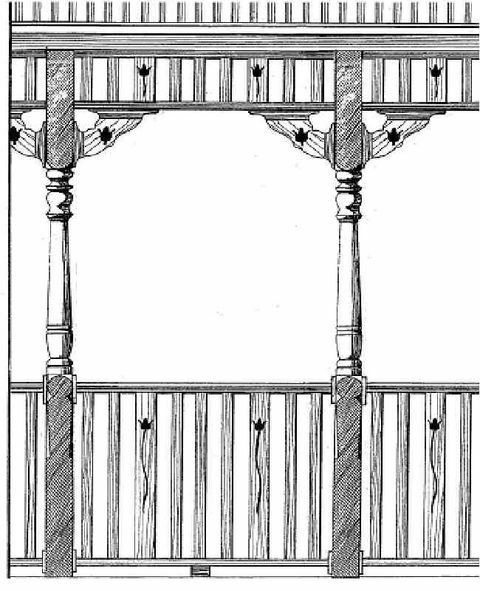 Length - What is the height of your verandah? 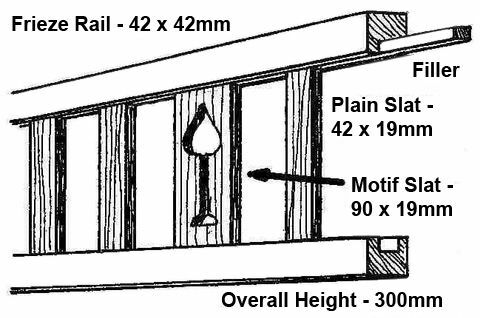 Measure from the top of the decking to the top of the verandah fascia. Want custom posts made? No worries - our posts are made locally, not in China. A photo of your existing post and some vital dimensions are what we normally need to finish them the way you want. 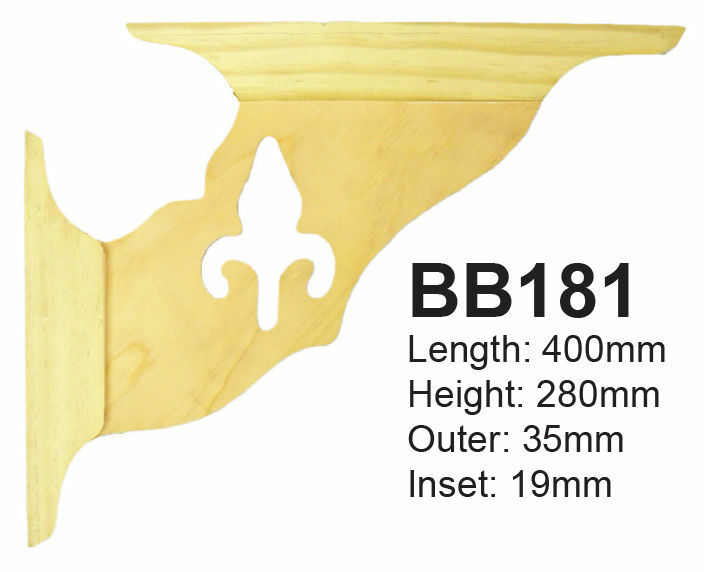 Baluster or frieze panels - as per your selection from our extensive range. Trenched rail - to the size that suits your panels and the length that you need. Filler - to insert in between the panels in the trenched rail, providing you with a polished finish. Detailed instructions - we've developed easy to understand instructions that will guide you through the process trouble-free. 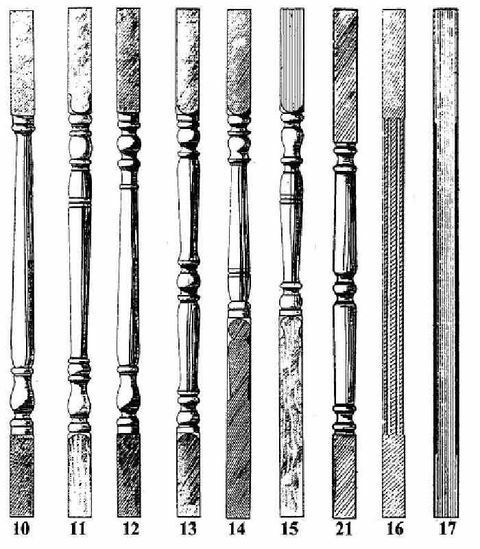 We supply all baluster and frieze components. If you are not sure what you need, have your local timberyard email or fax us the details of the job, and we will supply them with a quantified list of the components that you'll need. 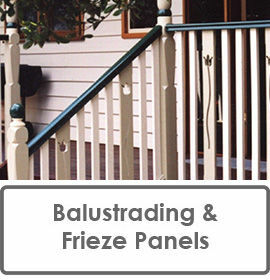 Balustrading and frieze panels are very easy to assemble, and anyone with basic handyman skills will be able to complete the installation. 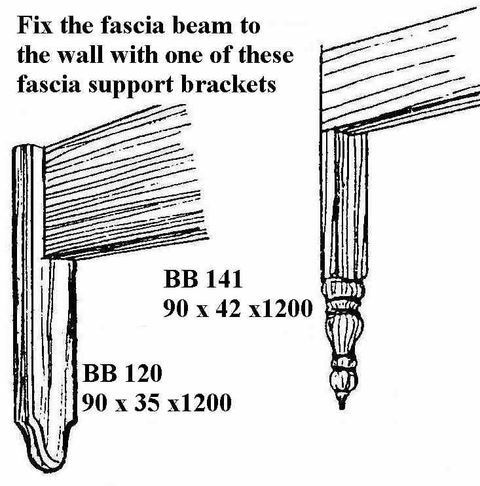 Not sure how to assemble your balustrading and frieze panels? 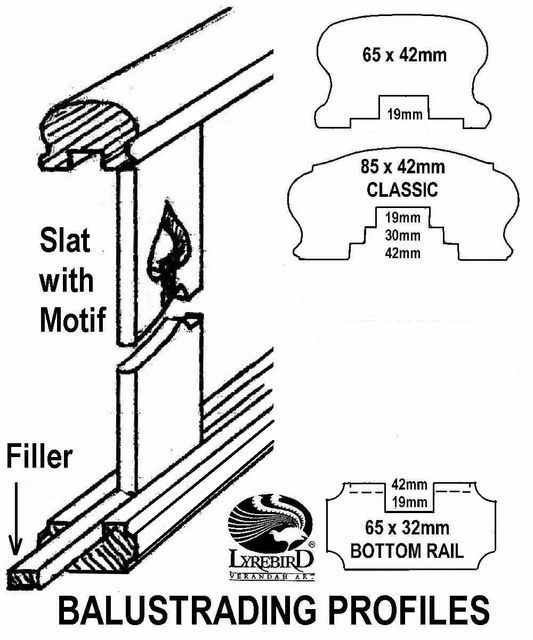 Email us on sales@lyrebird.com.au to request "How to assemble balustrading and frieze"
Lyrebird Enterprises have 9 BB181 motifs available, matching those in the frieze slats. When ordering, please quote your preferred motif to match. 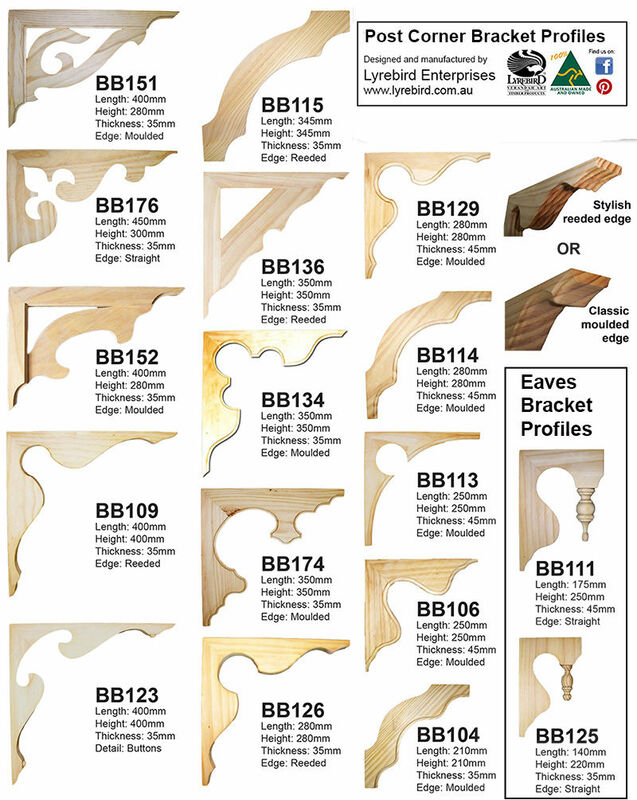 Lyrebird Enterprises have always produced a wide range of quality reproduction and contemporary decorative brackets. 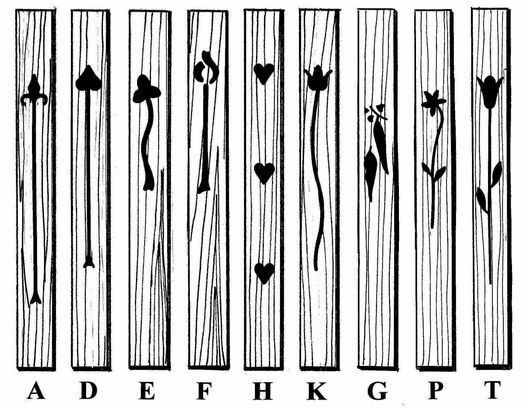 Our classic designs are based on designs created in the 1880's by Sydney-based French artist Lucien Henry. Developments in modern building design are also represented in our decorative brackets range. Our products are hand finished from solid pine, then treated with Light Organic Solvent Preservative (LOSP) to H3 level (protection for components above the ground), to resist rotting and borers. "The brackets are beautifully made and finished. This has made them a delight to paint and the precision made it easy for me to place each one accurately. I am also pleased to have been able to deal with a family-owned business producing the products it sells!" "I give Lyrebird Enterprises a big thumbs up!!!"